Her apprenticeship at Phyllis Marlowe's Repertory Theater behind her, green-eyed Carol Page now faces her first real job as second ingénue at the Richards Village Theater, Winasset, Maine. Along with her go her former classmate Julia Gregg and clever young Mike Horodinsky - Julia as apprentice, Mike as assistant stage manager. In a rambling old house by the sea, Carol, Julia, and Mike live with the other members of the Richards Theater. Here their days are filled with learning parts, attending rehearsals, painting scenery, and absorbing as much as possible about the business of a summer theater; nights are filled with the excitement of performance. Here, too, Carol learns what it means to combat such forces as townsfolk who frown on the stage as evil, and Maine fog and rain which seem intent on keeping away an audience. 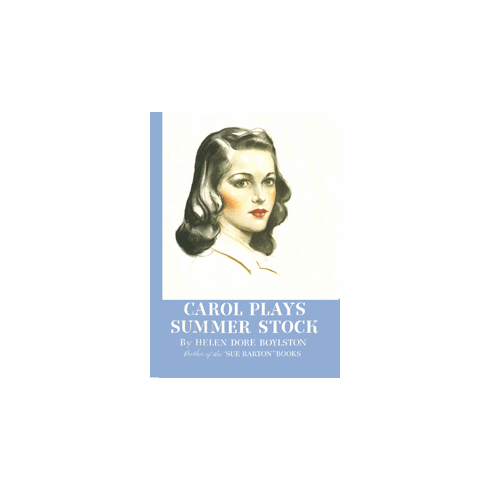 She learns how to meet discouragement and how to cope with a girl named Orchid, a professional member of the cast whose training gives her an advantage over Carol and whose glamour is as effective as her technique. Most of all, Carol and Mike discover the meaning of the theater - its demands, its disappointments, its rewards - and it is with a deeper realization of their love for it that they turn their eyes toward Broadway.